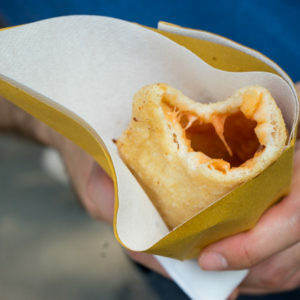 This is a traditional local dish from Piemonte using the local variety of pear, Martin Sec. 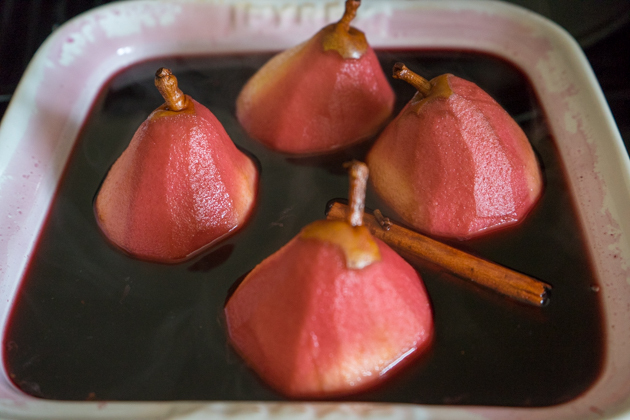 The pears are poached in red wine sweetened with sugar and flavoured with cloves and cinnamon. 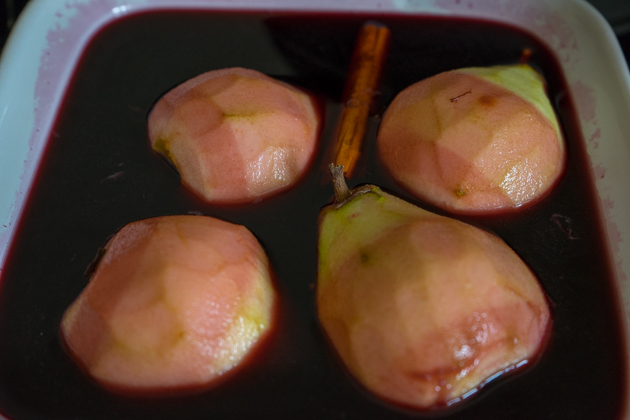 The effect is pears poached in mulled wine (vino caldo/vin chaud/gluhvine). 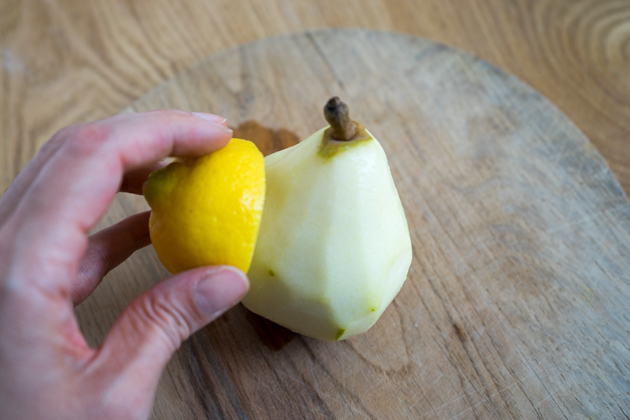 The pears can also be poached in water with the addition of some lemon juice. 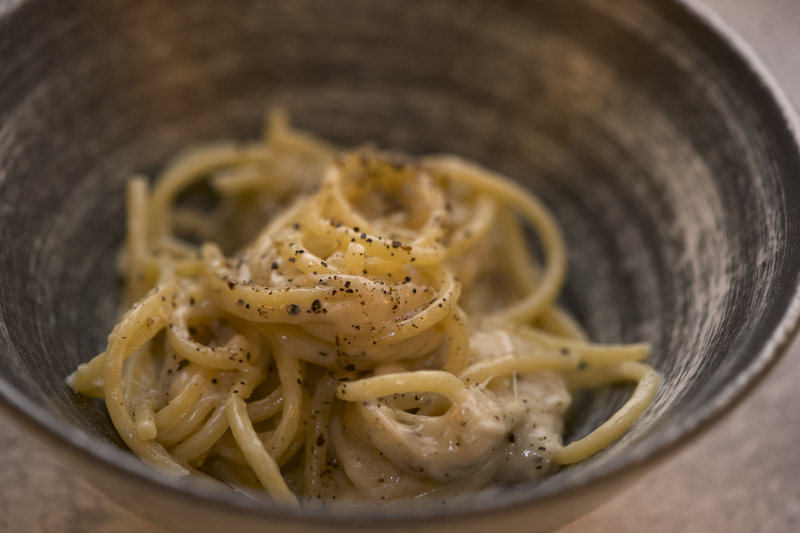 The spices can be left out if you prefer something more simple. They can also be cooked on the hob/stove top- see the notes. 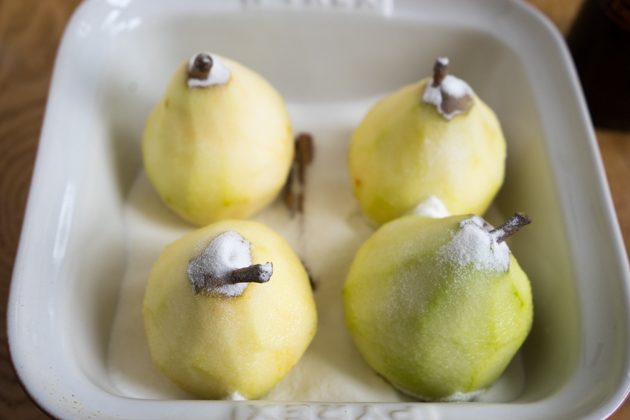 These pears are excellent served warm with whipped cream, custard or ice cream. 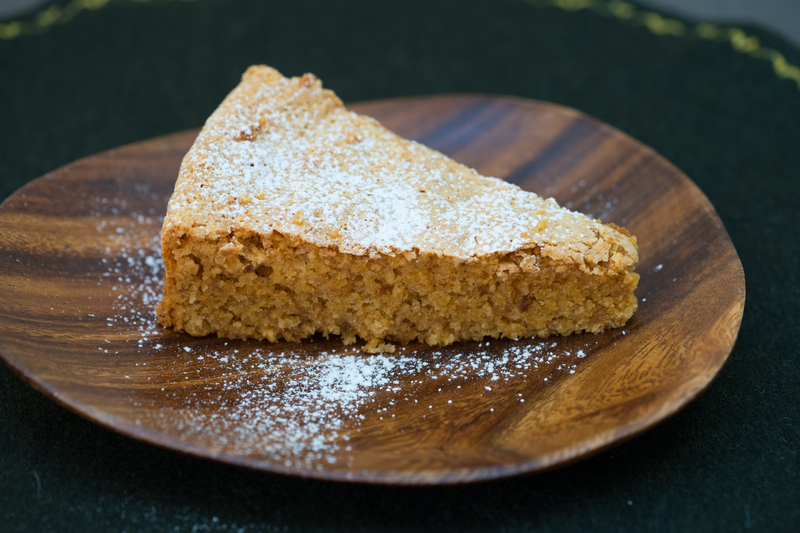 Any leftovers can be used in a chestnut, chocolate and pear tart. 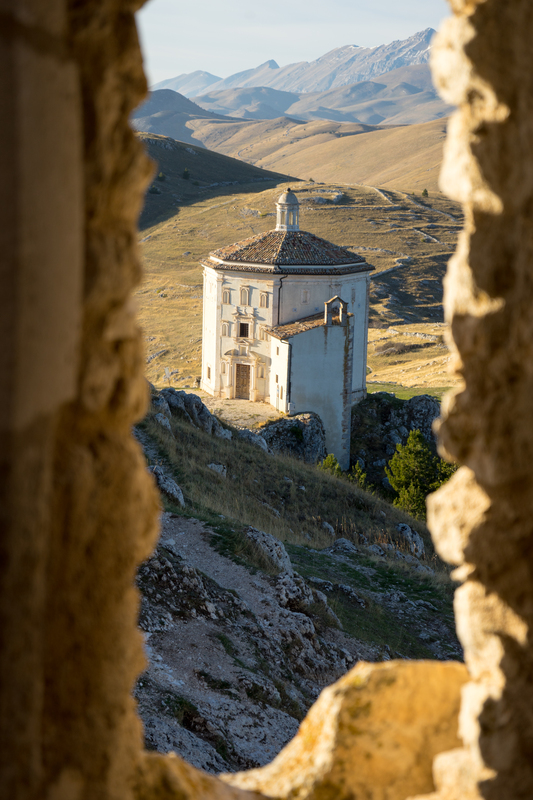 Preheat the oven to 175C. Peel the pears and rub them with the cut lemon. Place them in a baking dish just large enough to hold the pears. Sprinkle the sugar over top. 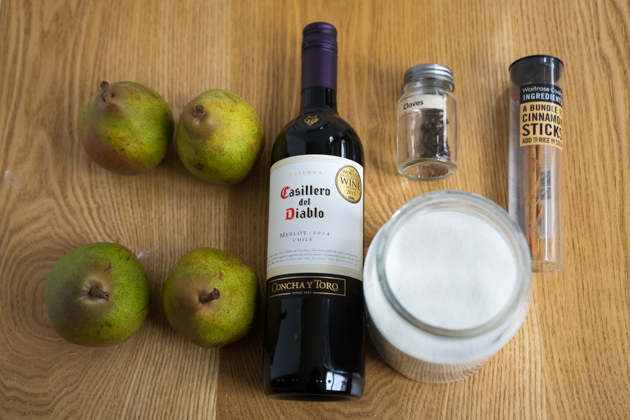 Try to cover the pears as much as possible with the wine. Bake for 1 hour, rotating the pears if necessary to keep them evenly submerged.If you are using water instead of wine, cut out a piece of parchment paper to fit the top of the dish/pot to keep the pears from turning brown. When the pears are tepid, remove them from the liquid. 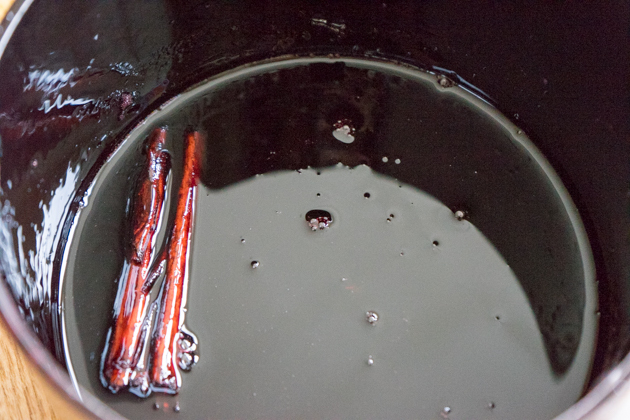 Pour the liquid into a saucepan and boil the liquid to reduce it down to a syrup. 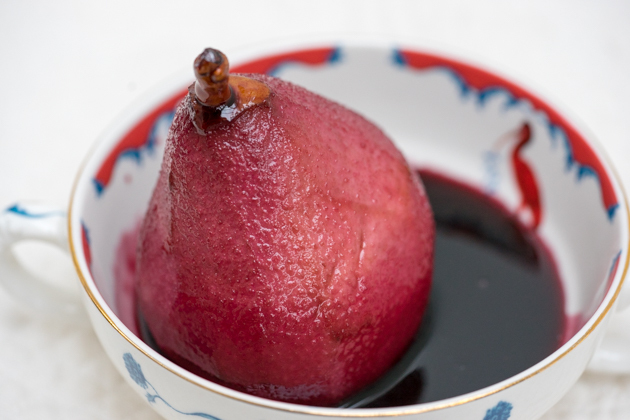 Serve the pears in a bowl with the syrup poured over top. Alternatively you can bring the liquid to a simmer in a large sauce pan and poach the pears for an hour on the hobb/stove top. Rotate the pears if necessary to keep them evenly submerged and cook until a fork can easily pierce the pear.